Whether you are seeking employment or need to post a listing for a position you have available, the Chamber is your resource for area job openings. Access the business community and area job seekers by listing your employment opportunities as a free benefit of your Chamber membership. Click on the Job Openings link, or contact our Chamber Representatives at 231-845-0324 for assistance in job seeking or posting listings. Search for jobs posted by Ludington & Scottville Chamber of Commerce members. Come join us to network and rediscover all that our community in Mason County has to offer for long term careers. Representatives will be on hand from various local companies and industries to network with individuals looking for different career pathways. These events are organized by the Ludington & Scottville Area Chamber and are based on Pure Michigan Talent Connect, a statewide effort to bring people back to Michigan. Find your business landing in Pure Ludington. 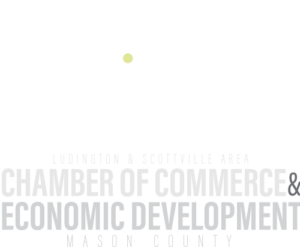 The Ludington and Scottville Area Chamber and our area partners are ready and eager to assist you in relocating,starting and expanding your business ventures in this area.